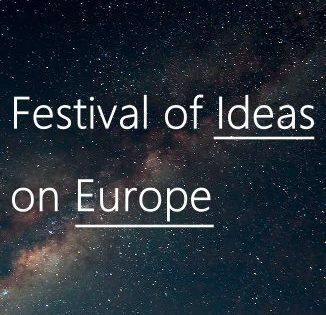 On Friday 8th March 2019, Index on Censorship were at the Essex Book Festival for a day of events called Unspeakable, which looked at ideas we are afraid of talking about and ways of censoring speech. To mark the 50th anniversary of the end of an era when all plays had to be signed off by the British Lord Chamberlain, Index discuss why we should worry about the censorship of what we see on stage and how words and ideas are restricted around the world and in the UK today. 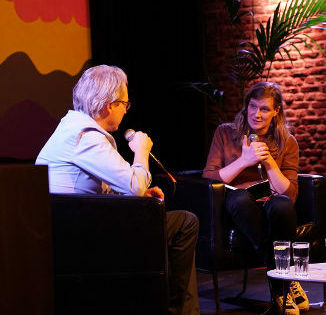 With Index Editor Rachael Jolley moderating, the discussion starts with actors Phoebe Fildes and Matthew Romain taking listeners on a tour around the world, recounting the incidences of censorship they encountered on London’s Globe Theatre’s Globe to Globe tour of Hamlet to 197 countries. The discussion then moves on to the censorship of theatre and other performances in the UK, looking at, for example, Behzti in Birmingham in 2004, The City at the Edinburgh Festival in 2014 and the role of money in relation to staging decisions. Find out more by listening to the whole discussion below. Phoebe Fildes is an actress who trained at the University of Bristol and Mountview Academy of Theatre Arts and was involved in the Globe to Globe Hamlet tour from 2013-2015 while working at the Globe Theatre. Phoebe has been involved in numerous plays, such as A Woman of No Importance, Pericles and Peter Pan, and has performed at illustrious venues, such as the National Theatre (England), the Vaudeville Theatre and the Globe Theatre. Matthew Romain is an actor who trained at the Bristol Old Vic Theatre School and was involved in the Globe to Globe Hamlet tour from 2013-2015 while working at the Globe Theatre. Matthew has also featured in several well-known films, such as Sherlock and the Comedy of Errors (both 2010), and TV series, such as Sherlock (2017). Rachael Jolley is the editor of the Index on Censorship magazine and the 2016 winner of the British Society of Magazine Editors Special Interest Brand Best Editor award. After starting out in local news reporting, Rachael moved on to writing for magazines, newspapers and websites, including The Times, the Financial Times and The Guardian. She has written on politics, business, personal finance and money and has been an editorial director at the think tank British Future, a managing editor of the monthly magazine Business Traveller and an editor of Business Traveller Middle East. Rachael is also a co-writer of the play Murdering the truth. You can follow Rachael and Index on Twitter via @Index_Magazine and @IndexCensorship. A full recording of this debate can be found on this page and can be accessed by clicking here. Furthermore, you can find additional podcasts from Index on their Soundcloud account, which you can reach by clicking here. This discussion formed part of Index on Censorship’s Unspeakable series of events at the Essex Book Festival on Friday 8th March. 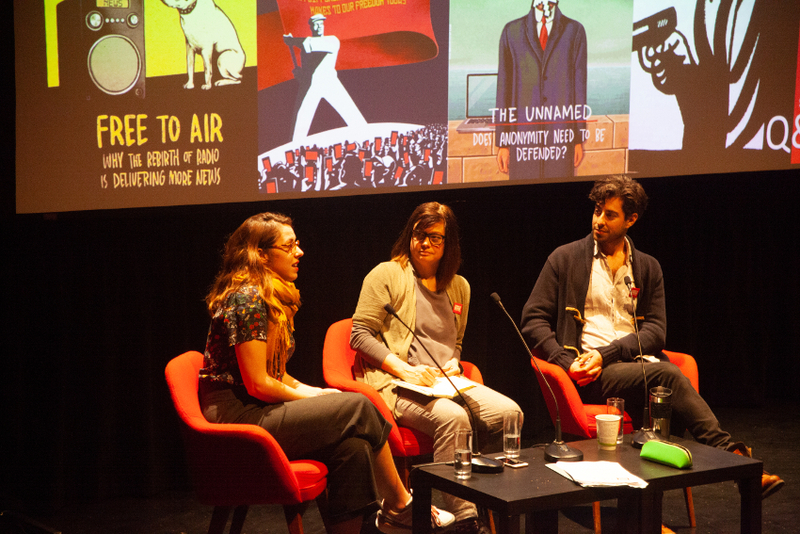 Unspeakable was a day of challenging and illuminating conversations, performance, exhibitions and workshops, which was hosted by the University of Essex and explored historic and contemporary issues of censorship, no-platforming, freedom of speech and taboos. Unspeakable followed a special issue of Index on Censorship on theatre and censorship around the world. In the spring issue of the magazine, the theme is about the democracy gap that is opening up with the global decline of local journalism. It asks what happens if local journalism is no longer there to hold power to account and features articles from former UK Secretary of State for Culture, John Whittingdale, as well as the journalists Libby Purves, Richard Littlejohn and Andrew Morton in the UK, Karoline Kan in China, Silvia Nortes in Spain and Irene Caselli in Argentina. To find out more about the spring edition of the Index on Censorship magazine, click here. If you have already been impressed by the discussion and would like to consider receiving the Index on Censorship magazine, then you can also reach Index’s subscription page by clicking here. Essex Book Festival is one of the highlights of Essex’s cultural calendar. Each March it hosts over 100 events in over 45 venues across the county, including theatres, libraries, schools, universities, cafes and art galleries.